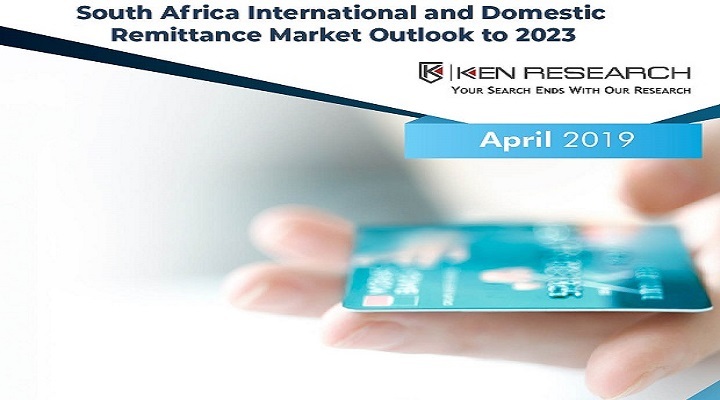 Development of financial infrastructure, introduction of supportive government policies, change in business model of various remitting companies & increased marketing expenditure have been the key factors driving growth in South Africa remittance market. South Africa domestic and international remittance Market is highly competitive and concentrated. It includes both formal and informal payment services providers. The market has declined in terms of value and volume of transactions however it has seen a rise in terms of average transaction size for outbound business. The decline can be supported by the high transaction fee involved in the remittance business which serves as a dissidence for customers. High Emigration Population: Number of South Africans leaving the country showcased a positive last 5 year CAGR of almost 3% owing to the compelling job opportunities and prospects in the developed countries. An increase in the emigrant population is indicative of a prosperous remittance business. Emigrants from South Africa have majorly migrated to the developed economies including United Kingdom, Australia, United States, New Zealand, Canada, Angola Botswana and other SADC countries. Few emigrants migrate to the SADC corridor since these economies are highly lagging as compared to South Africa. Majority of migrants into South Africa are from Mozambique, Zimbabwe, Lesotho and other SADC countries. The trend observed in inbound migration is the result of increased economical opportunities in South Africa compared to the SADC region. Customer Analysis: The outbound population consists of an almost equal gender ratio in 2018. The maximum number of emigrants falls in the age bracket of 25-29 years followed by 30-34 year population in 2018. The age group of 70-79 years accounts for the lowest emigrants showcasing a share of less than 1% of the population. Declining Costs: South Africa continues to remain one of the costliest countries to remit money from across the world. The average cost to remit money for 2017 was around 18% of transaction amount which are representative of a decline from a peak of 2013. The increased competition in the market with escalating market share of ADLAs has largely affected the fee structure across the country. ADLAs charge minimal fees of not more than 5% of the transaction amount, making them a market leader in terms of pricing. Increased Digitalization: The South African market is adopting digitalization at a rapid pace in all aspects including the remittance market. The smart phone users in South Africa have increased to almost 40% in 2018 from close to 11% in 2013. This increased penetration of technologically advanced mobile phones showcases the adoption of mobile wallets, e-wallets and other electronic modes of remittance services across South Africa. This has driven the market considerably during 2013-2018. Government Support Policies: South Africa Government has been liberalizing their policies and regulatory frameworks for remittance service providers including all entities. The documentation, fee structure and business compliance guidelines have been improvised by the regulators leading to a higher remittance business. The flexibility being adopted by the government is serving as an incentive for both the service providers as well as the customers availing the services. The report titled “South Africa Domestic and International Remittance Market Outlook to 2023 – By Channels Used (Banking Channels, Retailers, ADLAs & MTOs and Others), Remittance Corridors (Inbound-Outbound and Rural-Urban)” suggests that market will grow at a CAGR of close to 6% in terms of transaction value during the year 2018-2023.